The transformation of the digital business world is connected to many challenges concerning moving forward to new technologies and shifting the focus to agile and flexible environments. As the number of digital identities rises, the need to protect and manage how personal information is collected, used and distributed, is higher than ever. When digital identities are not secured or distributed properly, the exposure of information is guaranteed. Companies must also make sure that existing applications and these new digital services are consistently managed in terms of security, reliability, and scalability. The cloud, Internet of Things and digitalization are driving the evolution of IAM. Nowadays security technologies such as cloud access control, user behaviour analytics, multifactor authentication, and mobile threat defence for example are on the rise. These modern security technologies will help firms establish security architectures which are fit for purpose for the mobile and cloud era in computing and a new age in data compliance under GDPR. The Internet of Things has a great role in digital transformation by enhancing customer’s buying experiences and allowing businesses to be more connected. Customers constantly seek a personalized, satisfying experience when it comes to the businesses they interact with. They are always looking to connect to vendors however and wherever they want. Moreover, with the explosion of connected devices forming the Internet of Things, millions of devices need digital identities to manage what information they send and to whom. Companies must be aware how to manage all the external identities that get in touch with them? How to give users access to the resources they need to drive their success? In what ways they make sure all interactions are secure, authorized and compliant? Do they even know when an employee of a partner organization no longer works at that organization, or do they take access with them to their new employer? To protect their data, the enterprises need Identity and Access Management (IAM) to make sure the right users have access to the right resources, at the right time, and for the right reasons. This not only applies to their company data, but also to business partners and employee details. In many cases, data privacy, agreements, and compliance regulations demand that this data is secured. APIs also need to be managed from a security perspective, and a determination needs to be made on which systems and users can be trusted to access an API, and which systems APIs can interact with. The right IAM and API Management tools provide the companies with all the flexibility they need to control this, and protect the data while their processes run smoothly. To provide secure access with modern, mobile multi-factor authentication. In the digital ecosystem, it’s critical to protect the sensitive corporative data and to prevent the risk of a breach. Identity and Access Management solutions represent technologies that use access control engines to enable centralized access using methods, providing secure and productive environment. 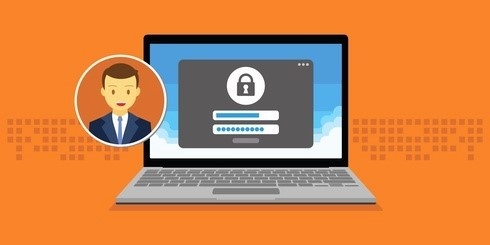 Adding multi-factor authentication to digital workspaces is a good approach for organizations to transform secure access to help manage that risk. Innovative identity solutions not only foster trusted interactions among organizations in the digital ecosystem, but they also enable interoperability between the various technologies. The cloud is foundational enabler of digital transformation projects and offers the scale and speed that is needed for businesses to focus on transformation. The cloud will provide business with the ability to quickly and efficiently transform their process, embrace the digital transformation and use its benefits. How SIEM Improves Your Organisation’s Cyber Security?